John is a Mackay local whose first introduction to management and business was in several Mackay hotels. He then spent over 12 years working in the family business, John Carroll Retravision before leaving to pursue an interest in finance. John joined the Power2 Team in 2008. His first role was to establish and grow Power2’s Financial Planning arm and on achieving that goal has moved on to be responsible for the overall management and forward planning within the firm. 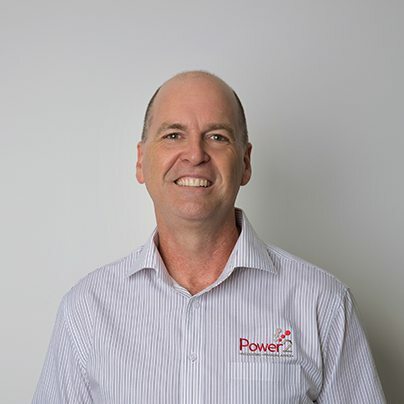 John has successfully acquired and integrated 6 businesses between Mackay and Brisbane on Power2’s behalf. He made each of these acquisitions a success through careful planning followed by aggressive action. He is a strong believer in creating processes and reporting within a business to enable the management and staff to work and communicate more efficiently and therefore more profitably. John has a Bachelor of Information Technology and has almost completed his Master’s Degree in Financial Planning. He is a fully qualified Financial Planner and an Associate member of the Financial Planning Association of Australia. He is also a Registered Tax Advisor (financial). John is happily settled in Mackay where he lives with his wife Veronica and their four children.